A dining set is significant in every home. It encourages families to spend quality time with each other over great meals. To enhance your dining experience even more, consider switching to high dining sets. High dining sets, Greenville furniture designers explain, are those sets that are several inches more elevated than conventional dining sets. Some people refer to high dining sets as bistro sets or gathering sets. High dining sets in Greenville come in different designs and heights to accommodate your preferences. You may even custom-order high dining sets in Greenville for that personal touch! High dining sets in Greenville provide a stylish touch. Have you been thinking of giving your dining room a makeover, but you are not sure where to start? Trading your old dining set for one of those gorgeous high dining sets will do the trick. High dining sets come in various designs and materials. Let your high quality furniture show your personality! High dining sets in Greenville come in different styles to suit your taste and to match the environment they will be used in. Among the popular materials used in high dining sets in Greenville are metal, glass, and wood. High dining sets are great for constricted spaces. Do you have limited space in your home? Since high dining sets are taller, they help provide an illusion of spaciousness. Nobody likes feeling cramped, right? High dining sets in Greenville let you enjoy the view from your dining room. Having a glimpse of your garden and the beautiful sky just makes mealtime more pleasant. The sets allow you to appreciate views that you would not otherwise see when sitting on shorter chairs. High dining sets in Greenville are not just for the dining room. The casual vibe of the sets makes them ideal for patios as well. Does an outdoor breakfast sound enticing to you? Pancakes and hot chocolate certainly go well with high dining sets for that laid-back Sunday vibe. You can even host a barbecue and a casual lunch with your friends! Barstools & Dinettes is a family-owned-and-operated specialty furniture store that has been trusted by North Carolina residents since 1983. Expertise and service are the trademarks of our business. When you drop by our showroom, our courteous staff will answer all questions you might have without pressuring you into making a purchase. We let you see and feel the supremacy of our products instead. At Barstool & Dinettes, we have numerous options for high dining sets in Greenville, so you will definitely find one that suits your taste. Our showroom has more than 450 different styles of stools and about 100 dining sets. Our high dining sets are available in various shapes, sizes, and materials. You may also take your pick from thousands of fabric options and several finish options. We accept custom-made orders for high dining sets. 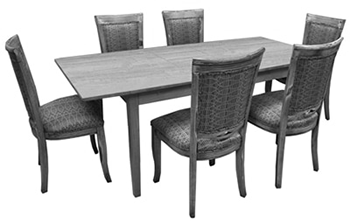 Contact us for more information about our furniture, including high dining sets. 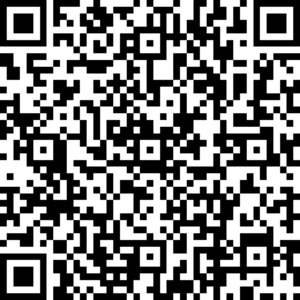 You may call us at 919-787-6680 or email us at info@zxk.74b.myftpupload.com. It is best to see the quality of our products up close, though! Visit us at 8620 Glenwood Ave., Raleigh, NC 27617. We are open from 10:00 AM to 6:00 PM on Mondays through Thursdays, and from 10:00 AM to 8:00 PM on Fridays. Should you fall in love with our high dining selection and decide you want to have one of your own, you may take advantage of our home delivery. Barstools & Dinettes is a family-owned specialty furniture store that has been around since 1983. The supremacy of our products and the kind of service we provide helped us earn the confidence of our clients in North Carolina. Our showroom is open to everyone looking to purchase quality new furniture. We source our furniture from leading American and Canadian manufacturers who practice sustainable methods in engineering their furniture. At Barstools & Dinettes, we believe that enjoying great furniture is always better when we keep the environment safe for future generations to enjoy. We understand that browsing through hundreds of furniture can be a little overwhelming. Our staff is delighted to assist you and accommodate any question that you have. Rest assured that our team will never pressure you into making a purchase when you visit our showroom. We always strive to provide accurate information that will help you make your own informed buying decision. We at Barstools & Dinettes are known for our expert service and selection from start to finish. If you decide to purchase furniture from us, you do not need to worry about getting it home. We can arrange for it to be transported to your place. Also, it will be set up by our team and not an external contractor. We have a wide variety of products on hand. However, we recognize that some customers may be a little more specific and would love their furniture personalized. Our mission is to help you find the perfect furniture for your space. If we do not have what you are looking for in our store, we are happy to customize according to your specifications. Furniture is an investment. They serve you for years, and when properly taken care of, they can be passed on to the next generation as family heirlooms. It is therefore wise to choose only the best pieces. Contact Barstools & Dinettes today for high-quality furniture in your area! You may call us at 919-787-6680 or email us at info@zxk.74b.myftpupload.com. We invite you to visit our showroom and see our furniture pieces! We are located at 8620 Glenwood Ave., Raleigh, NC 27617. Store hours are from 10:00 AM to 6:00 PM on Mondays through Thursdays, and from 10:00 AM to 8:00 PM on Fridays.